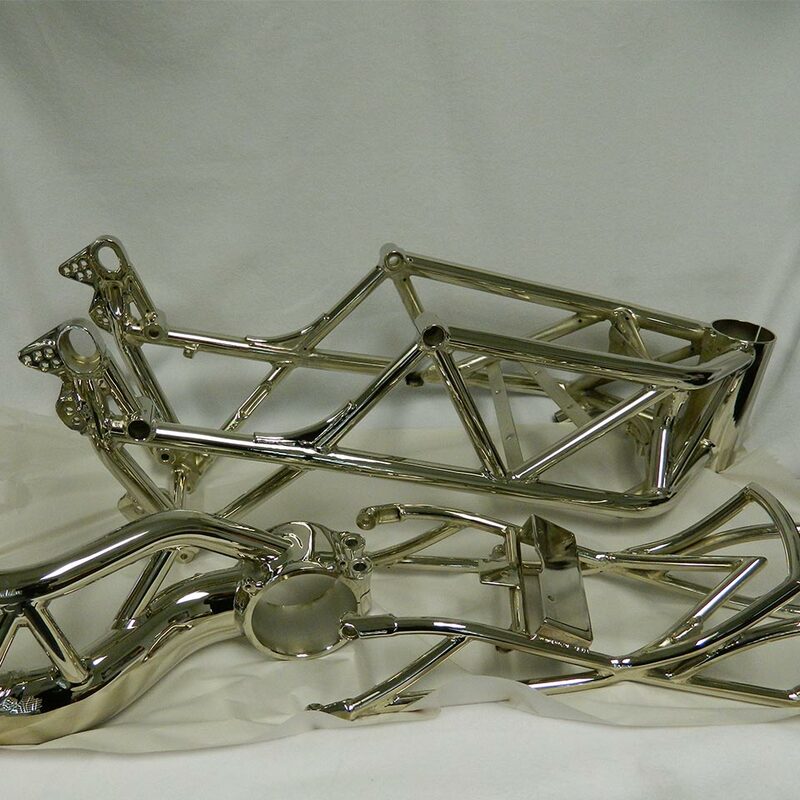 The finish product in the plating procedure starts with the quality of the polishing. Meclec's plating is the best in the industry. 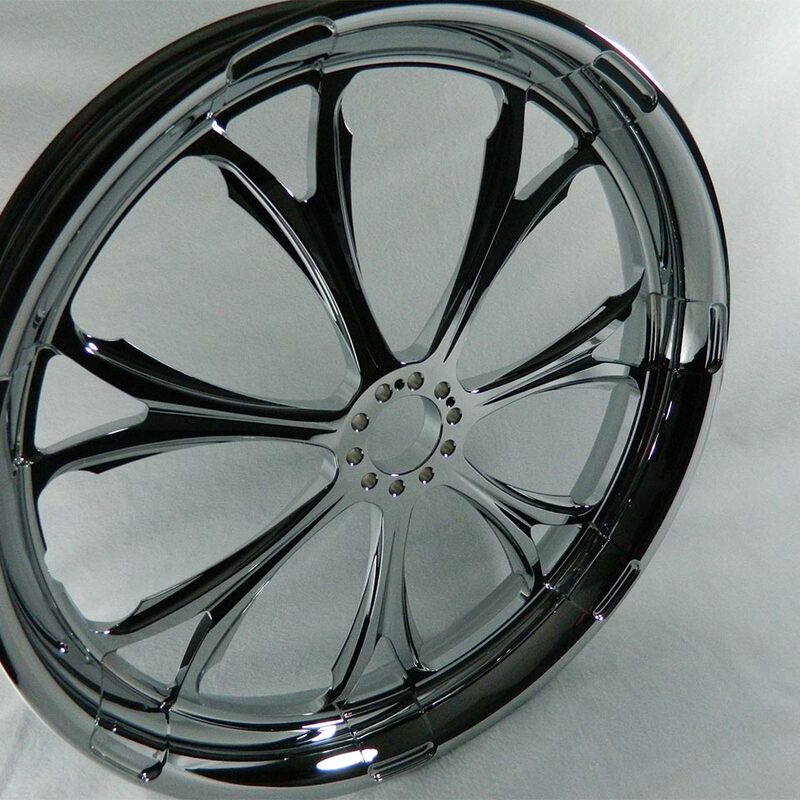 Recognized by the industry as the Premier Show Chrome Plater, Meclec works with some of the most prominent motorcycle dealers, builders and aftermarket manufactures in the country. Our proprietary plating procedures set us apart from the rest of the industry. With our 40 years of experience and state-of-the-art facilities, we have the knowledge and capability to custom finish or re-finish steel, aluminum or billet parts. Type I, II and III are available. Finishes include flat, satin and gloss. 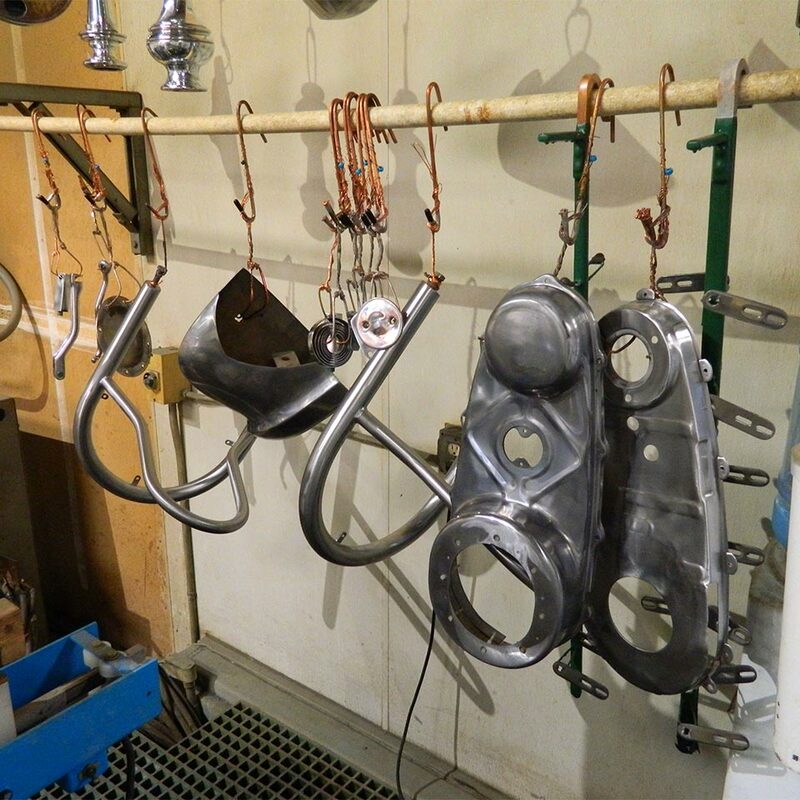 Parts can be polished, per customer specification.